Our church is looking for a role that I have a deep passion for! We're looking for someone who wants to change the world. 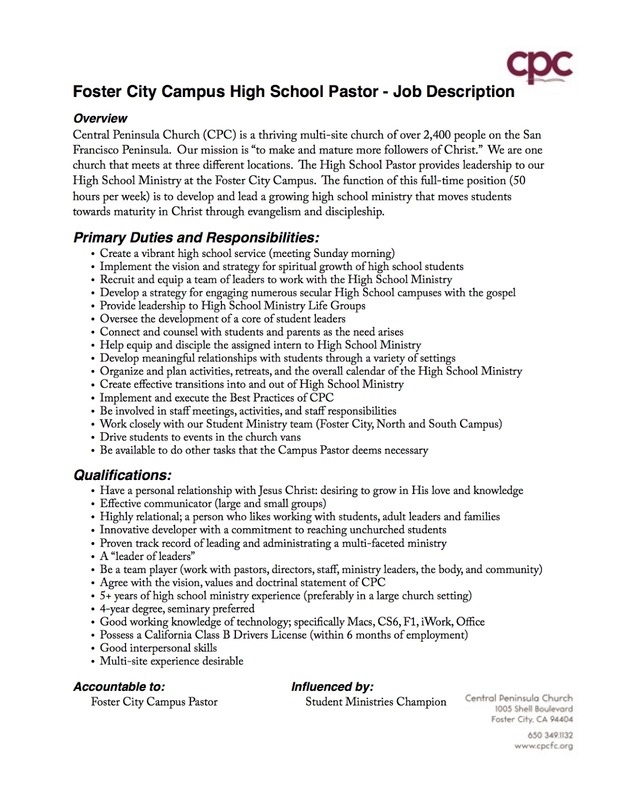 We're looking for someone who is passionate about reaching lost students and helping students mature into followers of Christ. We're looking for a team player that is coachable. We're looking for someone to join a healthy team and add value to what we're currently doing! We're looking for someone who wants to put some roots in the ground, do the hard work of sowing more seed so we can reap a harvest of changed lives. I really didn't want to post this job description all over the web but figured it would be good to get it available so my like-minded friends could see it and help us find the right person for this role. If you're getting excited reading this and contact me!